Hello! It's Allison from Stuckey in Second. I'm excited to share how I started doing math stations in my second grade classroom this year! I have honestly wanted to do math centers and small group math for years and just never found the time or resources. I think this is a horrible, stupid excuse now that I have started them and realized how AWESOME it is and how EASY it is! Why didn't I do this sooner!? Well, for one thing, (in the case of making excuses...) for the past 7 years, I had a much shorter math block scheduled into my day. This year I have started at a new school and we have 80-90 minutes for math each day. At first, when I thought of how I had "always" taught math, I didn't know what I would do with all of this time!! I kept telling myself, as I have for years, that I love how my reading block goes. Short whole group, then teaching the bulk/meat of my lesson in small groups and having the kids rotate through workstations. Although I feel good about my rotations and groups, I know this is a work in progress and I plan to work on being more precise and differentiating even more. I'm just proud that I have it GOING! 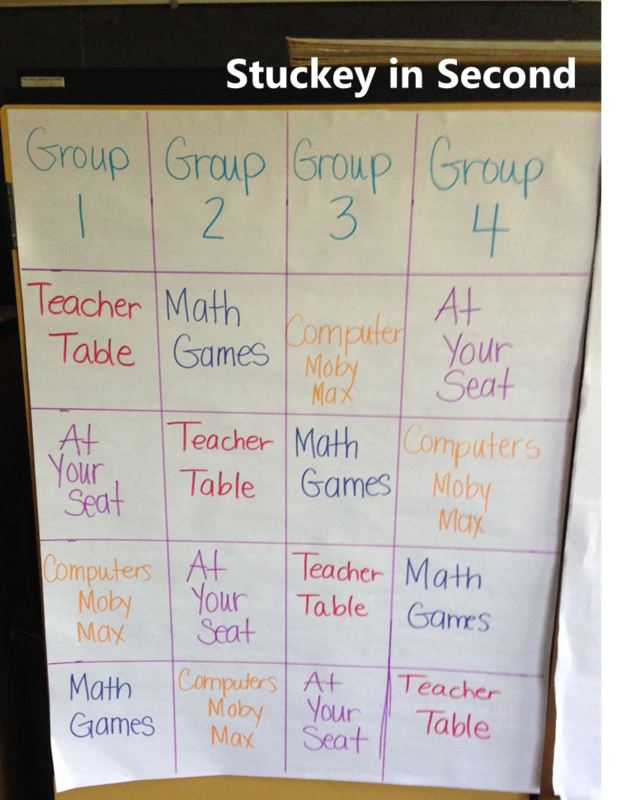 I copied this rotation schedule from my teaching teammate, Michelle. Genius plan. I'll tell you why later. My four groups are lowest to highest math level. Group 1 is lowest/needs most help and Group 4 is the highest math level/most independent. This is the same rotation, everyday. We use Envisions math. Although I'm not a huge fan, I use it for my whole group lesson . I start my math block with whole group teaching of the lesson. I try to limit this to 15-20 minutes. I used to teach the whole thing whole group...agh! Why!? 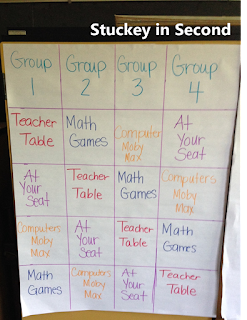 For the rotations, I use the baseline of 12 minutes per station/rotation, but sometimes if I get through my group fast or the kids are totally getting it, some groups go longer/shorter than others. Usually if one goes a little longer and needs more help, it works out that another group is really grasping it and the times always work out. I set a timer, but for the most part, I'm just having to go past it or stop it early. It's just a basic guideline. Group 4 is independent, so they start at the seat work and don't need much help from me. 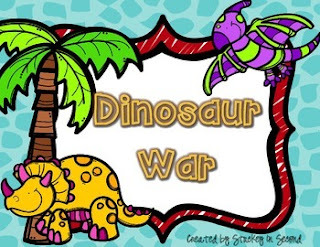 They get enough from the short whole group lesson that they can get right to work on the assignment. These would be the kids that during my LOOOONNNGGG whole group lesson in the past, they would be working ahead and bored. Now, they don't have to be bored, they can get what they need in 15-20 minutes, then get right to work without wasting any time. Sometimes it's only 10 min! Group 1 needs the most help, so it's best to start with them, when I can give them the most time. I always figure that if I get to groups 1-3 and give them a lot of help and for some reason I can't get to group 4, then that's okay. But, that hasn't even happened yet! I have made it to every group, every day! The other good thing about this is the order. After teacher table, they have "learned" even more from me, so they head to their seats to do the seat work that corresponds with the current day's lesson. Then after seat work is computers/iPads. SOOOOO, if need be, you can hold this over their head a little bit. If they mess around at seat work station and don't finish what they needed to, they don't go to the next station of computers, they just keep working. (It works!) This order is the same for everyone, even the highest group. Everyone has computers right after the seat work station. I KNOW exactly what my kids know. I DID NOT KNOW that before. I may have thought I did, but I didn't. I realize how little I knew before now that I'm teaching like this! 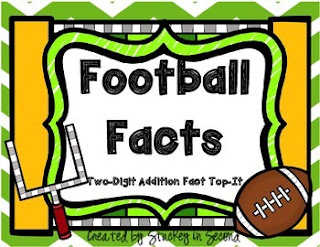 Now that I meet with 4-6 kids at a time, I know exactly which kids can regroup, which kids are having trouble, which kids forget to regroup the tens place, which kids forget to add the third number, etc. There are tons of details I can tell you right off the top of my head because they are right in my face working, not playing in their desks, staring out the window, copying their neighbor, or just trying to keep up with a smile on their face. They are right at this tiny table with me and I can see their wheels turning, I can see their mistakes and correct them instantly. I don't have to wonder who is paying attention, who is catching on, or be surprised later when someone totally bombs the test. I also love it because it doesn't feel like I have to "use my voice" so much. I mean, I am talking just as long...but I'm not talking OVER other kids or having to use my LOUD teaching voice. I love it because by the fourth group, I'm an expert at explaining how to do things and I can literally see the progress throughout the rotation of kids "catching on"! I love it because I can SIT for the four groups. Lazy? Yes. Smart? Yes! It's just a more relaxed learning environment not just for me, but for everyone! 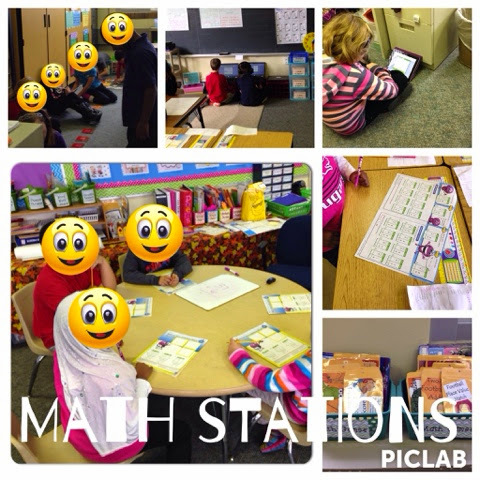 I also love it because I can look around the room and see 4-6 kids working at their seats, spread around the room, then I see 4-6 kids "plugged in" to laptops and iPads on MobyMax math, then another group playing fun math games together. Honestly, the room is QUIET!!! The only kids MAYBE talking are the ones playing math games and the ones right at my group. It's glorious!!! I'm honestly in love. I should also add that after the rotations, I do also make time to give students a graded "Quick Check" at the end of the lesson to check their understanding for the day. I use the quick checks that are included with Envisions, but I'm sure you may have our own in place. 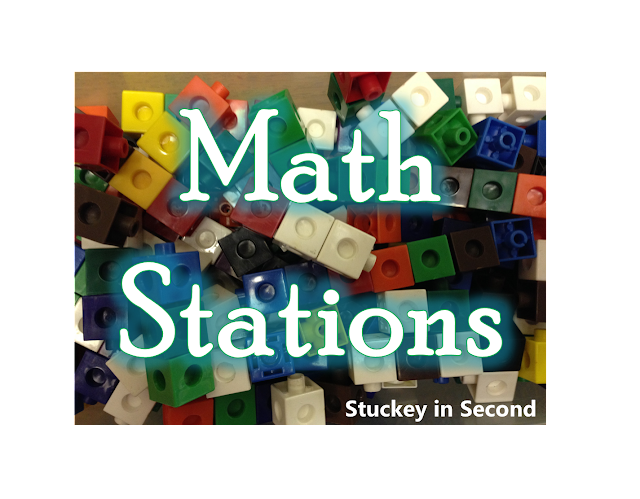 I hope that I have inspired someone to try a new approach next year with math stations and rotations. Just give it a try!! This is AWESOME and so are you!!!! I am moving to second next year for the first time and I am definitely going to try this during my math time. It totally makes sense and I can't wait to plan for it and try it out. Thank you so much for sharing!!!!!!!!!!! I left feedback for the freebies as well. Any good apps or specific games you have them play during their laptop/ipad rotation? I love this idea and would love to implement it in my classroom next year. Love this!! I feel just like you said having to talk loud in that teacher voice!! Is the whole group a lesson from the textbook? Is the seat work like independent practice? And wondering how this would work for summer school?? Great post!! We actually used this post as we worked on our school math framework. Thanks!